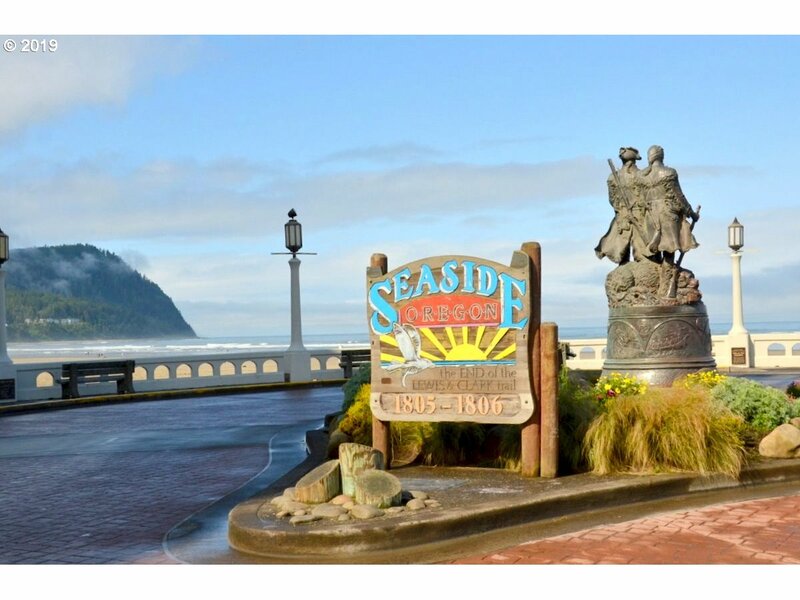 All Seaside homes currently listed for sale in Seaside as of 04/21/2019 are shown below. You can change the search criteria at any time by pressing the 'Change Search' button below. If you have any questions or you would like more information about any Seaside homes for sale or other Seaside real estate, please contact us and one of our knowledgeable Seaside REALTORS® would be pleased to assist you. 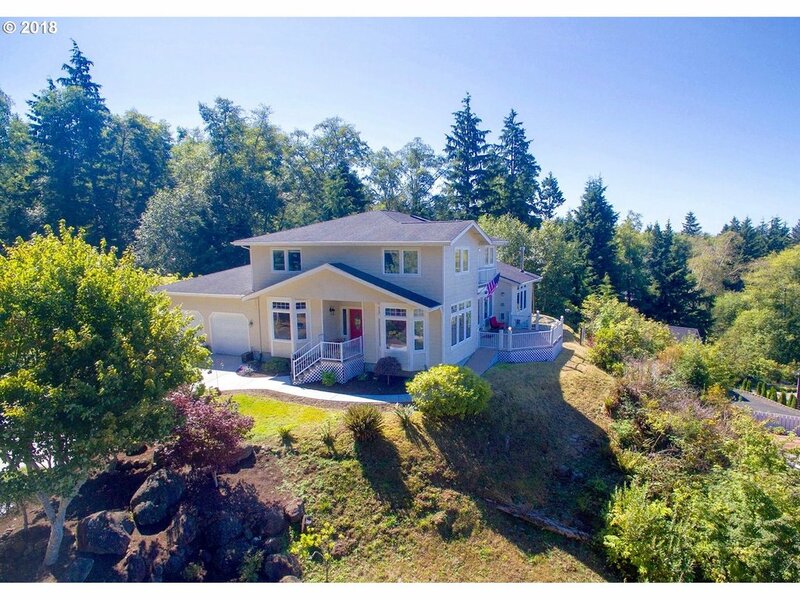 "Whether your dream home is a Palace, Castle, or Countryside Manor, build it with a view of the Nehalem River in this picturesque countryside, location teaming with all the beauty of Pacific NW meadows forests and wildlife. 3 Building sites. Buyer to do due diligence." 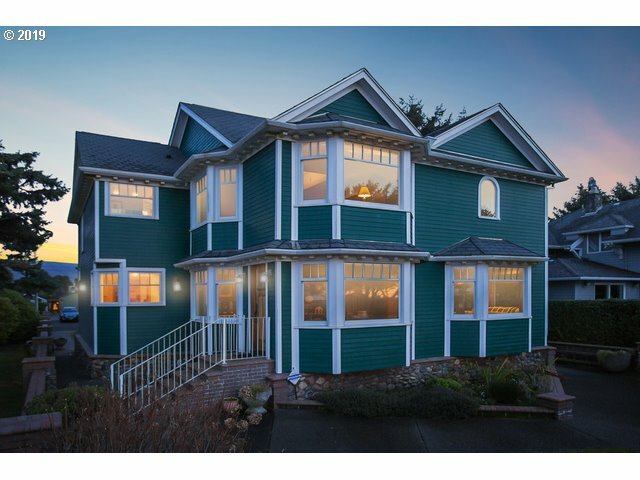 "Classic English Craftsman beauty -Extraordinary remodel of vintage 1928 home located on Seaside's Promenade. Impeccable attention to detail of owner's design highlights the era this home was originally built tells a story in every room of the home. Amazing woodwork by builder Chris Rose creates the warmth & ambiance of the craftsman appeal. Boasting cozy fireplaces to sweeping staircase, the upper floor library & gourmet kitchen." "Memories are made here! Family and friends will gather and enjoy this beautiful architecturally designed ocean view property. Home features 9' and vaulted ceilings, quartz counters and hardwood floors. Great spaces for entertaining with cooks delight kitchen open to spacious dining and great rooms, 2nd level ocean view family room with wet bar and third level loft with fireplace. Includes 1/3 interest in ocean front lot to the West." "It doesn't get any more beach than this! Perched on the rocks directly above the surf in Seaside's iconic Cove neighborhood, the only way to get closer to the ocean is to get wet. Watch whales and surfers while you drink coffee in bed. Thoughtfully designed to take advantage of views, tastefully appointed, plenty of storage for beach toys, Jacuzzi/dry sauna to warm up after playing in the surf, this home is truly a beach-lover's dream!" 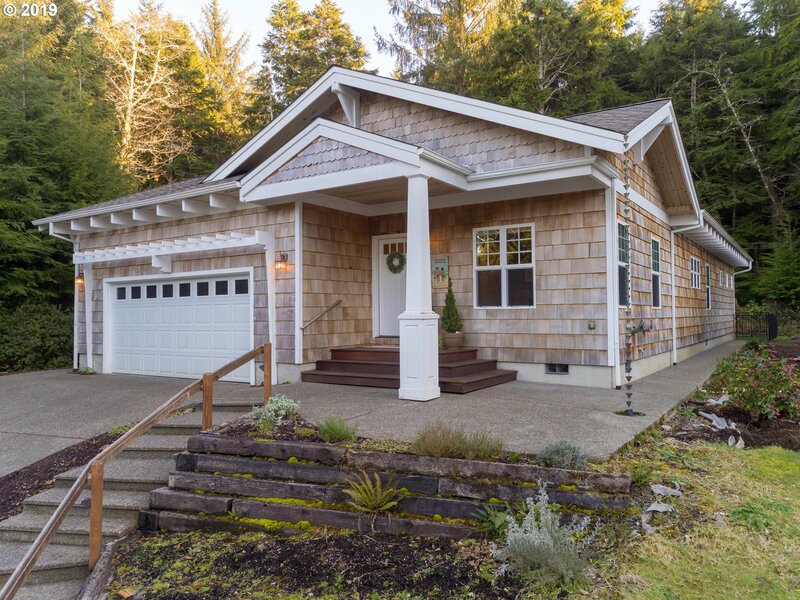 "Perfectly located 30 minutes from the beach and 45 minutes from major employers, this custom built, lodge-style home is hugged by a natural, salmon-bearing creek. Completely private, without a home in sight. Drive down the long driveway, past a massive, flat and green, 100+ yard front lawn with mature landscaping throughout. Walk through the floor-to-ceiling glass doors to over 4,000 square feet of open and airy living space." "Current list price includes an easement over the lot directly behind the house on Beach Drive. If the buyer wants one or two more lots, which are Beach Drive, the seller is willing to negotiate." "Stunning ocean views from nearly every room in this Victorian Towhhome located in Seaside's coveted Cove neighborhood. Remodeled in 2013 with a professional architect and designer to enhance a comfortable lifestyle and flow of the rooms. So many special features including high tech throughout the home optimizing WIFI and Internet access. This home exudes a relaxed, serene and warm ambiance at every turn. Make it your oasis today!" "Nestled in Seaside's Sunset Hills neighborhood, this home will not disappoint. Panoramic views of the Pacific Ocean from most rooms in the house. Featuring two spacious living areas, 3 master suites, bonus bedroom and office. Outdoor space is perfect to watch those beautiful sunsets." "Two units combined at the Mirage, on the South side of the building. Panoramic views of the Cove, Ocean and Tillamook Head. Enjoy the many moods of the ocean from two levels. Private interior elevator for access to both units, two kitchens, two dining spaces, upper level large family room and office/den space. All custom designed and outfitted. Full rehab on both units with newer everything.Condos can be sold together or separately." "4 Master Bedrooms, 4.5 Bath, Fully furnished, 3392 Sq Ft, Gourmet kitchen, gas fireplace, Ocean Front, Spectacular Ocean views. Currently on nightly rental program, High rental income,.Great Second Home / Rental income investment property, NO HOA fees !" "Now is your opportunity to own your own beach front home! This vacation spot is the perfect primary residence or income opportunity. This beach getaway has been a successful vacation rental for years! With 4 bedrooms, 3 full bathrooms, rec room, and large back deck, you won't run out of space. 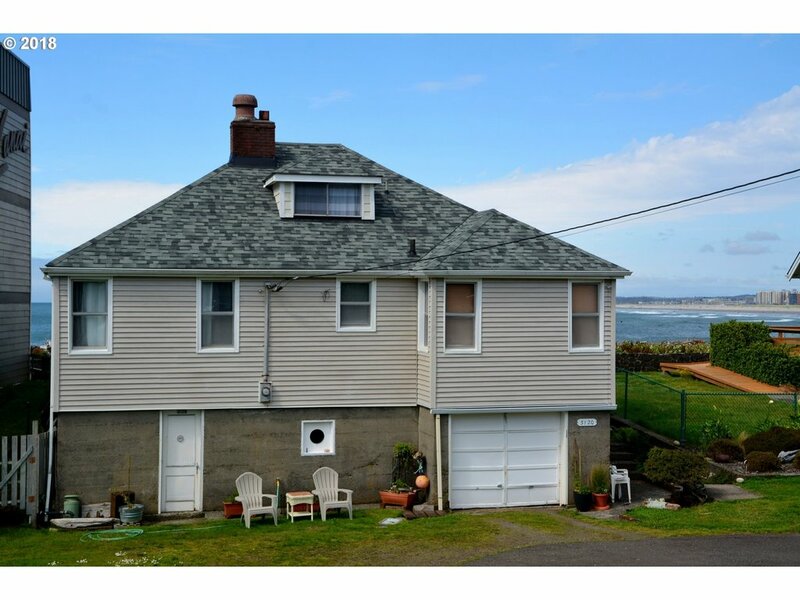 Located close to downtown Seaside, this home has it all. Enjoy the gorgeous ocean view from your living room or master suite!" 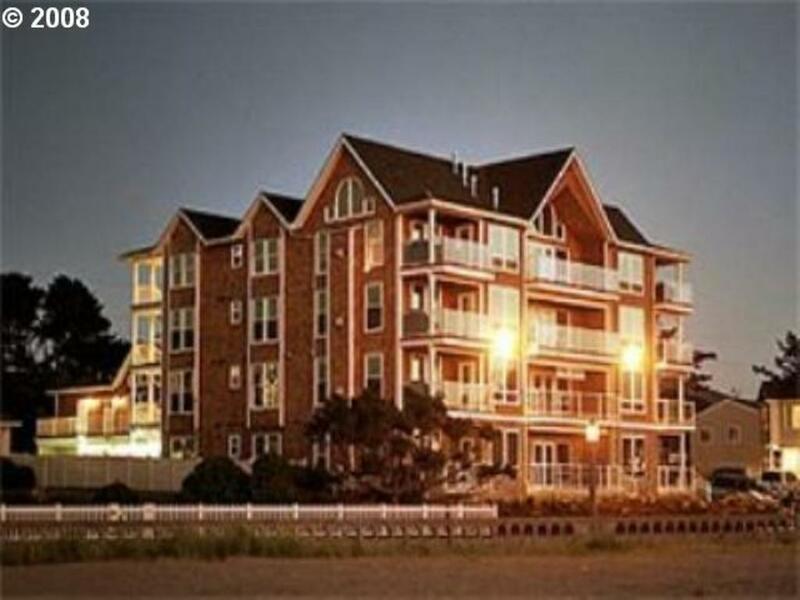 "Luxury oceanfront condo with spectacular sunset views, gourmet kitchen, on second level across from rec. room and fitness center. Deck with grill, granite, tile and hardwood, elevator, GE Monogram appliances. Secured parking. Currently used as vacation rental with good revenue. One of owners is a licensed realtor in the State of Oregon." "Spacious Seaside Home on 10 Gorgeous Acres just Minutes from Town & Beach! This custom 4 bed, 2 1/2 bath traditional home features full unfinished basement with french doors to backyard plus 480 sq. ft. of attic for extra storage in addition to 2436 sq. ft. on main & upper levels. Living rm is ideal for entertaining w/huge fireplace. A 5 car garage offers ample space for shop & large paved area w/room for RV or boat. A rare opportunity!" 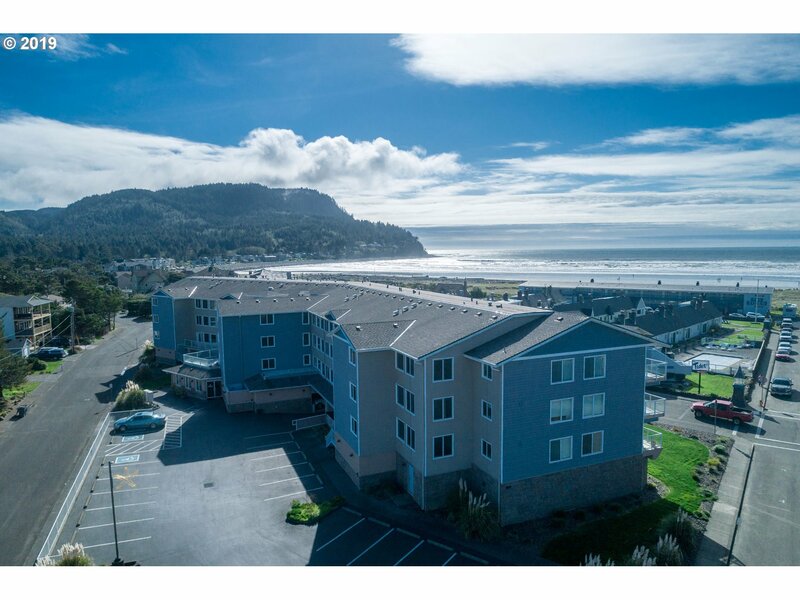 "Perched above the ocean with dramatic views, this elegant condominium is located at the Southern most end of Whaler's Point, adjacent to the Tillamook Head trail to Cannon Beach. Included is a separate, private yard space. This is the perfect retreat, partially furnished, with a successful vacation rental history. Most rooms provide stunning ocean front views. Fireplace, gourmet kitchen, dining, & eating bar welcome all your guests." "Gorgeous 4 bed/3 bath home located in Seaside's coveted Ocean Cove Estates. Features include great natural light with high ceilings, 2 gas fireplaces, a pellet stove, oversized 2 car garage. Huge master has Jacuzzi tub,fireplace, wet-bar and covered balcony with ocean views. The sunny, wind protected backyard with new hot tub and fire pit is perfect for entertaining or quiet nights. Forest views with Tillamook Head trail access." "Stunning 3 level custom home near the Seaside Cove in the most coveted neighborhood in Seaside. A reverse floor plan maximizes the ocean and city view. Vaulted ceilings are finished with tongue and groove wood for a rustic, yet clean Northwest feel. Plenty of off street parking plus 2 car garage. A detached 632 sq ft bonus artist studio has vaulted ceilings, full bath & is plumbed and electric ready to install a kitchenette." "Contemporary Whaler's Point condo with two levels of stunning Pacific Ocean views. Encompassing the largest floor plan on the property with 4 bedrooms & 3 full bathrooms. Featuring a chef's kitchen with tile granite counters, stainless steel appliances, and breakfast bar with seating, gas fireplace, large balcony, and spacious master suite. Privacy, elegance & comfort await you in this turn-key unit in truly pristine condition." "Watch surf & sunset in this expansive, tastefully remodeled home. 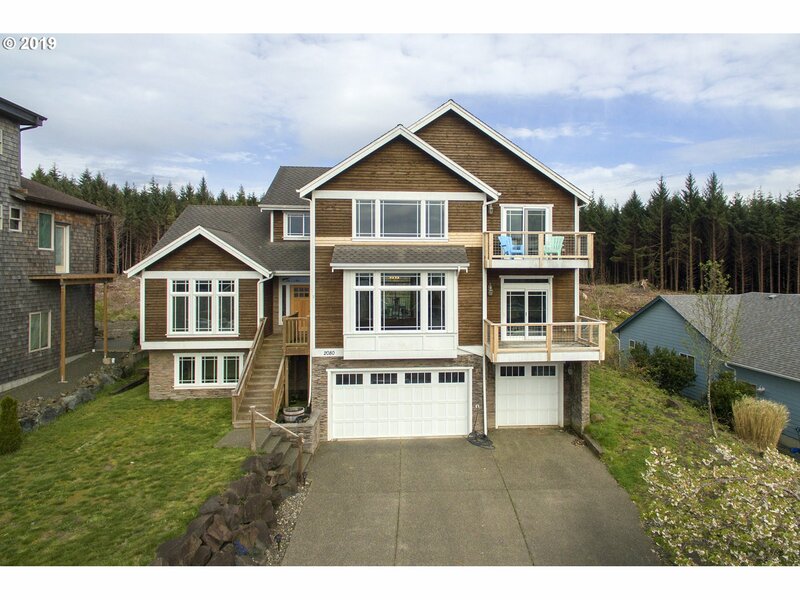 Massive wrap-around deck lets you soak in ocean & city views from Tillamook Head to Gearhart & north. Chef-inspired grand kitchen w/wet bar & plenty of room for cooking & entertaining. Bonus room could be 5th bedroom or private guests suite w/separate entrance. Layout provides privacy on a one level. Beautiful hardwood flooring, tasteful amenities. Truly a special home." "Sitting atop Sunset View Estates and over looking all of town to the sea, this spacious and quality built home has much to admire. Gorgeous elevated views of the ocean, with 2 decks, and incredible sunsets will impress. Fantastic open floor plan, with a large chef kitchen, makes for great flow and fun entertaining. Above the tsunami zone and close to all of towns amenities and beaches. This well cared for home is a gem on the hill." "TIME TO SELL! BIG PRICE REDUCTION! Welcome to The Cove in Seaside. Live in the place people come to vacation. Enjoy the breath taking ocean views, including sunsets, whale sighting and the 4th of July. Surfing is just outside your back door. Seldom seen Cove frontage property is zoned R2 with a height restriction of 35 feet. Your dreams can come true." "Stunning custom executive home or sportsman's retreat on over 3 acres fronting on the Necanicum River. Wonderful home for entertaining with chef delight kitchen, two guest suites and plenty of outdoor living space. Enjoy those summer evening sitting by the river on the expansive ironwood deck with the fire crackling in the gorgeous stone fireplace." "Like two homes for the price of one in a fabulous location! Original home has 4 bedrooms/2 baths & the 2005 addition has 2 bedrooms/2 baths & Kitchen, Living/Dining Room & laundry room. Many options for a large family; 2 families; potential to rent one side & live in one side, etc. Currently a successful Vacation Rental, 5 off-street parking spaces, sleeps 15. Just 1 block to shop, dine & golf & 500' to beach. Furnishings negotiable." "Embrace ocean views from this exquisite custom home positioned high above the City of Seaside and out of the tsunami zone. Inside you will feel the care and immaculate attention to every detail that was given by the master craftsman who built this home. Custom stone and granite work is found throughout, with a stone hearth gas fireplace. Spread out with an abundance of square feet and a great floor plan." "Coastal Cottage in the Cove! Living is easy in this newer single story home located within an easy stroll to Seaside surf & sand! Living rm features gas frplc & slider to patio & deck to take full advantage of the lush forested backdrop. Generous kitchen w/eating bar extends out to dining area ideal for entertaining. Master suite w/gas frplc & spa inspired bath offer peaceful retreat. Start making treasured family memories today!"